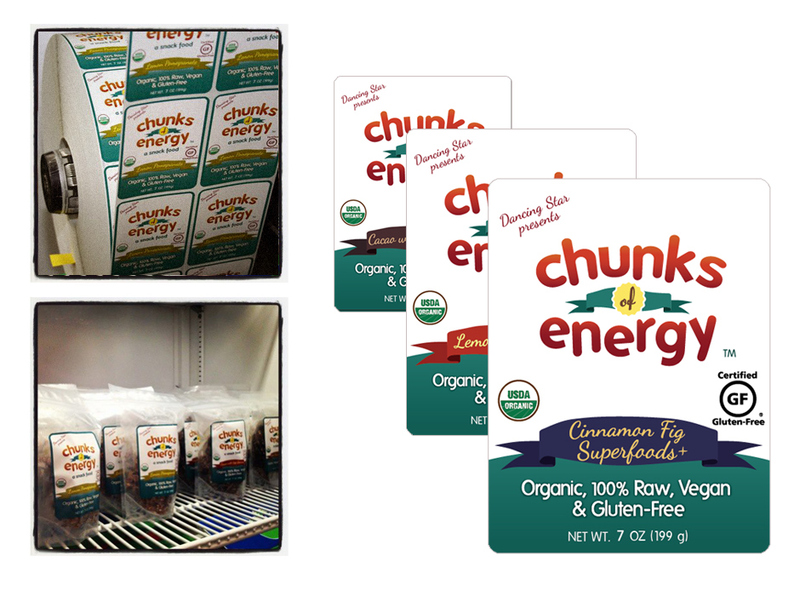 Chunks of Energy is wonderful health food product born on a family farm in Massachusetts. 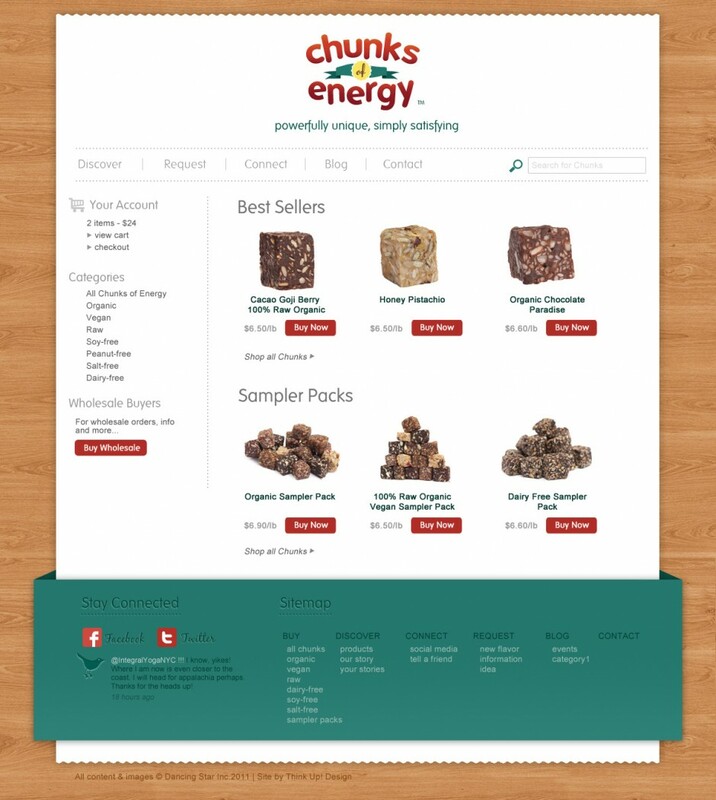 Available in a whole array of delicious and good for you flavors, Chunks of Energy are healthy, tasty, easy to take on the go snacks sold in bulk across the entire continental U.S. Having nearly 20 years of business in bulk foods behind them, Dancing Star Farms found themselves in need of a brand.Think Up! Design worked intensively with the family to create a logo which was diverse enough to reach their broad audience and hold to their values of fun, healthy, natural and organic foods which are great in any circumstance. After a logo design was completed, we moved quickly into web design, working to provide a visually simple yet attractive site which drove users to connect with the company through their online store or by developing a wholesale relationship. Design of the website and e-commerce areas of the site were completed and then the whole project was developed using WordPress and Shopp E-Commerce and an Authorize.net payment gateway. 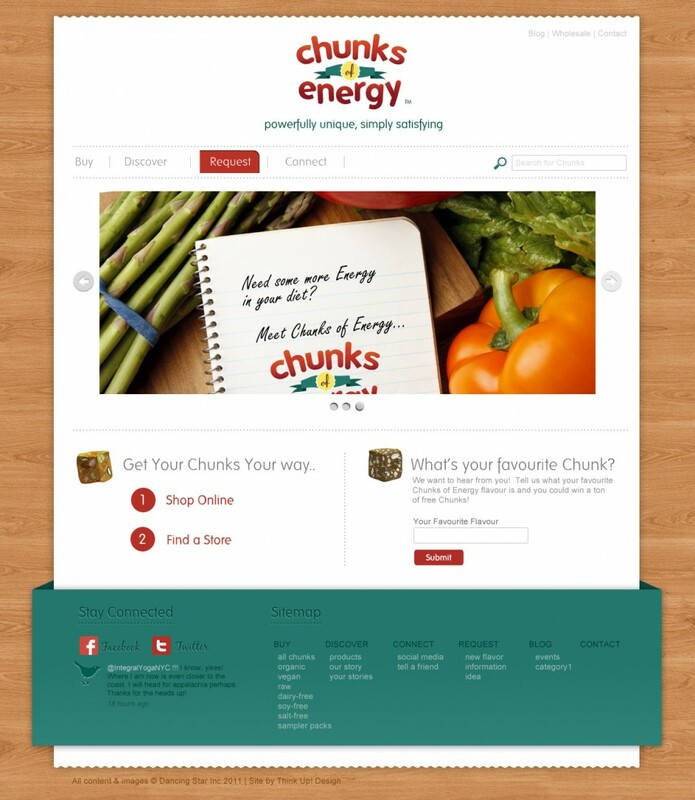 Go find some chunks at your local health food store or visit them online at www.chunksofenergy.com. You won’t regret it.